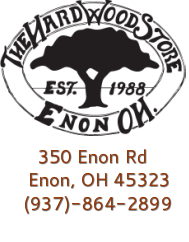 The Hardwood Store is the Miami Valley's leading supplier of interior millwork to the custom home building and remodeling trades. We offer an extensive line of quality architectural millwork, doors, stairways and lumber materials specific to crafting fine home interiors. We partner with many of the area's finest home builders and carpenters to create the best in interior designs. Whether you are a do-it-yourself craftsman or in need of one of our skilled professionals to measure and estimate your project, The Hardwood Store is your best choice. Visit our showroom today to see displays of the latest in millwork, doors, stairway and flooring products. You can hand select mouldings, hardwood lumber and plywood in our warehouse and get answers to your project questions from our friendly staff. If you are looking for a quality home builder we would like to highly recommend one of our fine customers listed below. Many of the photos on their web sites showcase millwork and doors that we have supplied.